As fall approaches ever closer to its end and we begin to shift gears in preparation of winter, it is the best time to satisfy any last autumn inspired cravings. There are many flavors indicative of fall but none satisfy quite like a pumpkin pie does. Pumpkin pie has a way of pleasing the masses with its warm spiced flavor, which is why it is served by most Americans on Thanksgiving. Well I am one of those Americans that require pumpkin pie be at the table on Thanksgiving. However, as much as I adore pumpkin pie, I still have a dilemma every holiday. You see, I love trying new things and I get bored making the “same old same old,” but I also can’t afford to not make my annual favorites. I have no shame and will openly confess I am forever conflicted when it comes to this. This year I managed to solve my dilemma with a reasonable compromise…….the pumpkin chiffon pie. This pie still has each of the traditional components (pie crust, spiced pumpkin filling, & dollop of whipped cream) all while taking pumpkin to a whole new level of awesome. What separates this pie from the classic is the creamy filling. This version features a fluffier core, a welcoming change from the very dense original filling. 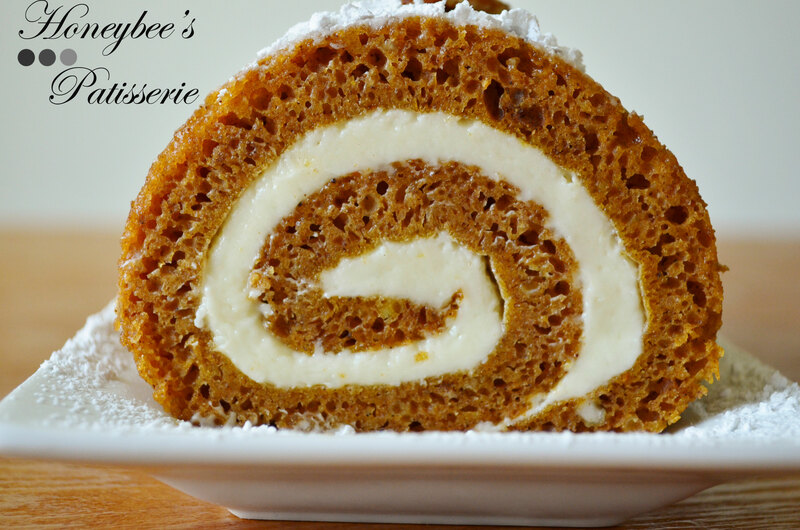 It is sure to be a crowd-pleaser at any fall holiday gathering as it was at Thanksgiving this year for my family. This recipe yields 2 pies. Each pie produces 10 servings with serving size being one wedge. Preheat oven according to pie crust package directions. Place pie crusts on a baking sheet. Pierce bottoms of pie crusts with a fork. Bake pie crusts according to package directions for a no-bake pie (approximately 10 minutes). Cool completely on a wire rack. 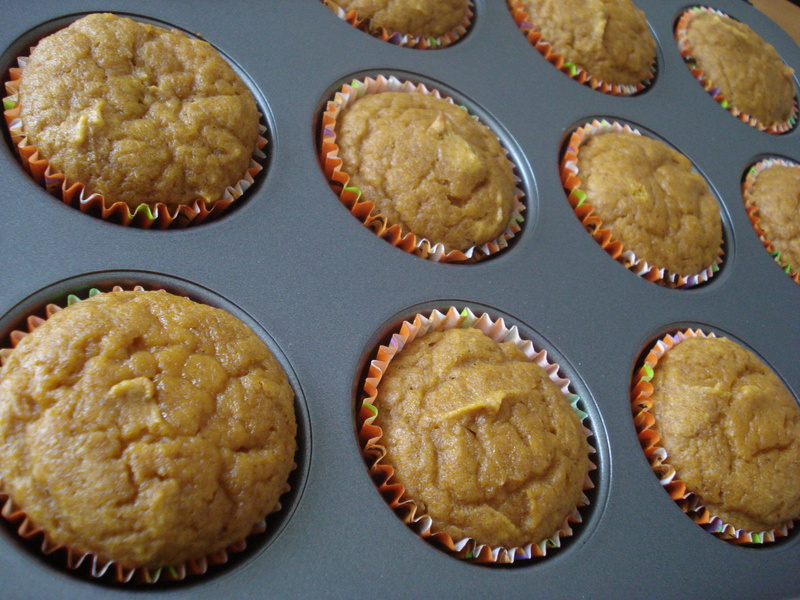 Whisk together the pumpkin, brown sugar, cinnamon, vanilla, salt, nutmeg, and 2 egg yolks in a medium saucepan. Stir in the evaporated milk and bring to a boil. Reduce heat and simmer mixture, stirring frequently, for 4 minutes or until the mixture thickens slightly. Remove mixture from heat. Place orange juice in a small microwave-safe bowl. Sprinkle gelatin over the orange juice and let stand 1 minute. Microwave gelatin mixture on high for 15 seconds, stirring until the gelatin dissolves. Stir the gelatin mixture into the pumpkin mixture. Cool. Meanwhile, place 2 egg whites and cream of tartar in the bowl of a stand mixture (or large bowl if using a hand mixer). Beat egg whites with a mixer at high-speed until frothy. Gradually add 1 tablespoon granulated sugar, beating until soft peaks form. Combine the remaining 4 tablespoons (¼ cup) granulated sugar and 3 tablespoons water in a small saucepan. Bring sugar mixture to a boil. Cook sugar mixture, without stirring, until a candy thermometer reads 250°. Pour the hot sugar syrup in a thin stream over the egg whites with the mixer on high speed until stiff peaks form. Gently stir ¼ of the egg white mixture into the cooled pumpkin mixture. Gently fold in the remaining egg white mixture and pour filling into the cooled crust. Refrigerate the pie for 4 hours or until set. Place the cream (preferably chilled) in a medium bowl and beat with a mixer on high-speed until stiff peaks form. Place into a piping bag fitted with a star tip. Pipe rosettes along the outside edge of the pie (where the crust and filling meet). Sprinkle ground cinnamon on the rosettes if desired. Serve. Hello friends! I hope everyone who celebrated Thanksgiving this past week enjoyed their holiday with friends, family, and lots of good food. I know our family had a delicious feast and this cheesecake was just one component. I was meaning to share this with you all sooner, however life, as usual, got in the way. I know that Thanksgiving has already passed, which happens to be the time most families enjoy pumpkin flavored desserts, but this was just too good not to share. I have loved pumpkin pie since I was a kid. It was the only pie I would crave besides the Chocolate Ambrosia our family would order at holidays from Bishop’s (a local restaurant that has since closed). I think the fact that my mom couldn’t eat it, therefore it was never in the house, made me crave it that much more. As much as I love pumpkin pie, sometimes you just want to try something new without sacrificing the same flavors you know you love. This cheesecake is the perfect solution to that problem. I get the same pumpkin pie flavor I know and love, but with a new texture that excites the palate and broadens once restricted horizons. I am not ashamed to admit that I am not the biggest fan of preparing cheesecakes. I despise having to use hot water baths as I always manage to burn myself and the fact that the cooked cheesecake then has to chill before I can dig in makes the extra effort seem not worth it. My intrigue of trying a pumpkin cheesecake pushed me past my comfort zone and I have to say I was quite surprised with its success. Not only did I not burn myself but it was a lot easier to prepare than expected. The final product came out rich, creamy, and full of pumpkin essence. In the past I have managed to turn what should have been perfect cheesecake into dry, flavorless blocks of blah that only the trash can would enjoy consuming. Also I know my recipe is a success if the hubby approves since he is not big on sweets at all. Let me not forget to mention that this recipe is a skinnier version than most. 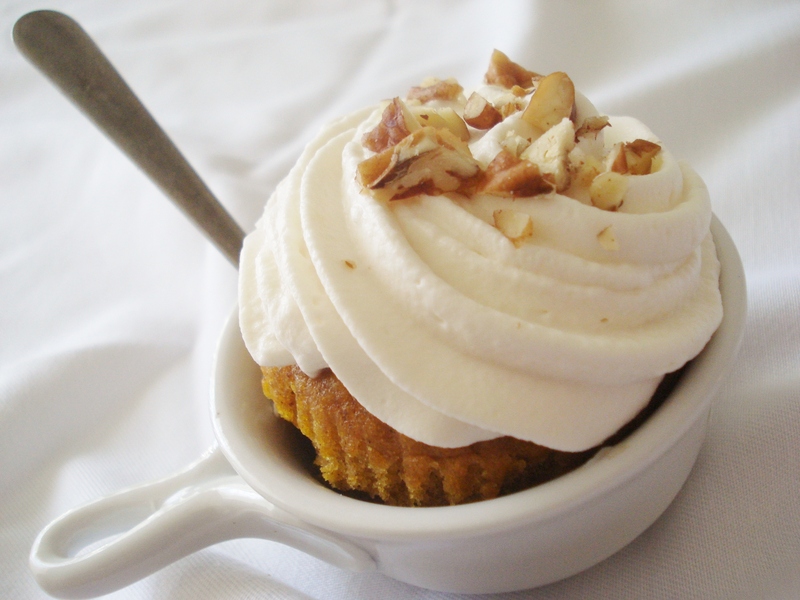 A traditional pumpkin cheesecake will run you as much as 700 calories and over 30 grams of fat for a SINGLE wedge. Sure this is not my lightest “skinny” recipe but it sure as heck is a lot lighter than most without compromising flavor. 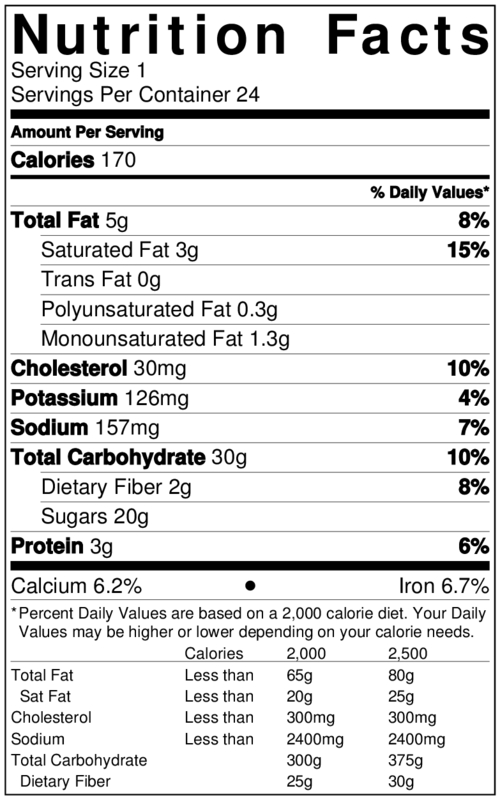 One wedge of this cheesecake comes in at only 262 calories and 7.8 grams of fat. That makes for a big difference to those watching waistlines. If you desire to save even more calories and fat, skip out on the dollop of whipped topping, as the cheesecake is still delicious on its own. Although the typical pumpkin consuming holiday has since passed, I know many also offer pumpkin pie at Christmas as well. If you are one of the many that do I highly recommend trying this recipe. If you don’t, make it a point to make this as a special treat for your household to try rather than waiting until next year. I guarantee you will not be disappointed! For the cheesecake: Preheat oven to 350°. Bake graham cracker crust according to package directions or until lightly browned. Cool on a wire rack. In the bowl of a stand mixer set to medium speed, beat the cream cheese and sugars together until smooth. Add the pumpkin puree and eggs, beating until the mixture is combined (scrape down the sides of the bowl with a spatula as needed). Add the bourbon, vanilla, salt, cinnamon, nutmeg, and allspice and beat until well combined, about 1 minute. Pour the cheesecake mixture into the cooled graham cracker crust. Place the cheesecake pan into a large roasting pan. Fill the roasting pan with approximately 1 inch of hot water. Bake at 350° for 35 minutes or until the center barely jiggles when you tap the side of the pan. Remove from the oven and roasting pan. Place on a wire rack to cool completely. Once the cheesecake has cooled completely, cover and refrigerate at least 4 hours but preferably overnight (gives flavors time to develop). While the cheesecake chills in the refrigerator, prepare the whipped topping. In a small bowl, add the heavy cream and powdered sugar. Beat by hand or with a hand mixer on high speed until stiff peaks form. Fold in vanilla. Cover and chill until ready to serve with cheesecake. Happy Halloween everyone! As today comes and goes Thanksgiving will approach soon thereafter, with pumpkin being the favorite flavor to represent the season. 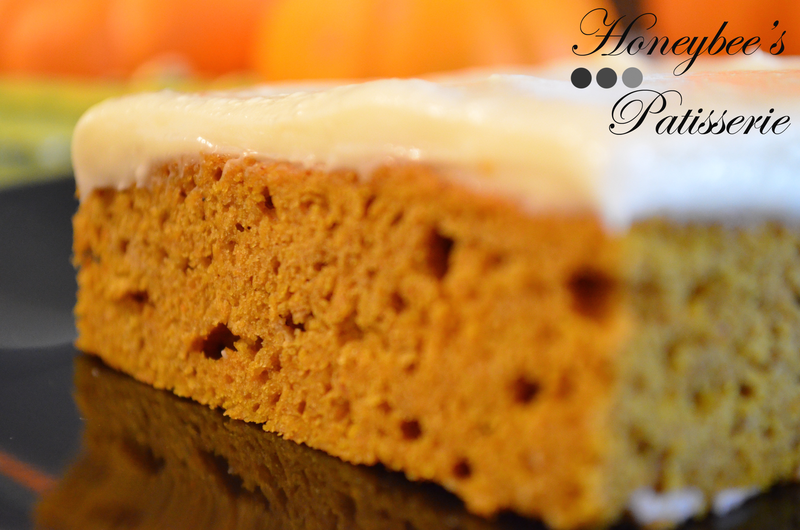 Pumpkin pie may be the go to classic but pumpkin cake is a close runner up. 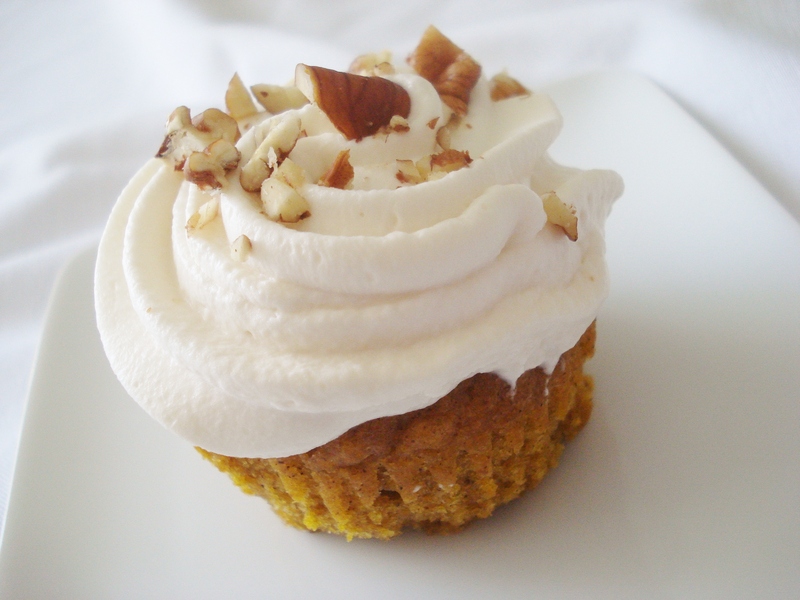 What is not to love about a moist, fluffy cake flavored with delicious pumpkin and warm, comforting spices??? I certainly can’t think of anything! Then you add the rich layer of cream cheese frosting that not only creates an adored classic combination but it also locks in the cake’s moisture for days. At this point it shouldn’t take much convincing to get any pumpkin lover to give this recipe a go. However, if flavor and texture are not enough to convince you to try this cake the ease itself should persuade you. A sheet cake is the easiest type of cake to make and it can feed a lot of people (both essential perks for the holiday baker). Simply prepare the batter, spread into the pan, and bake. Once the cake cools you spread a layer of cream cheese frosting on top and cut into squares to serve. There is no trimming or chilling layers or preparing huge batches of frosting, making this cake the perfect addition to the holiday table or as a quick treat to whip up for a work, school, or church function. If having said all of that still wasn’t enough convincing, how about the fact that this cake is a much lighter version of all its competitors. 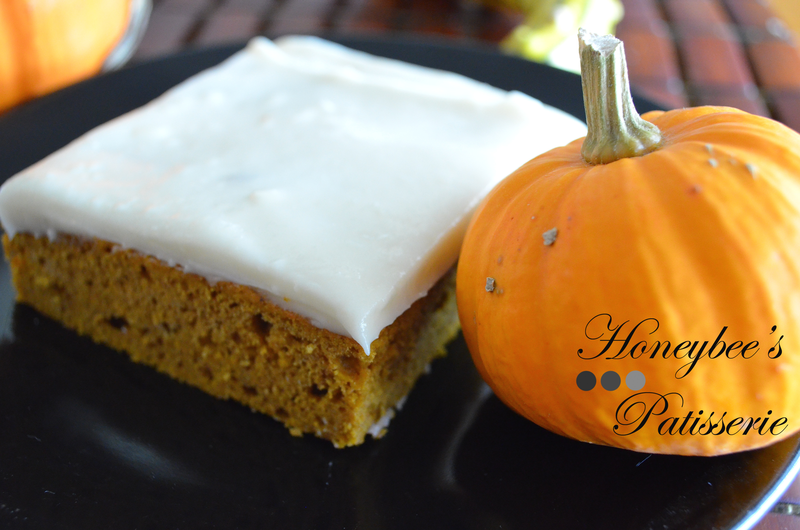 Traditional pumpkin cakes with cream cheese frosting run well over 350 calories per slice and triple the amount of fat content found in this recipe. The cake is easily made lighter by swapping traditional all-purpose flour with whole-wheat while organic light brown sugar stands in for the typical refined version. 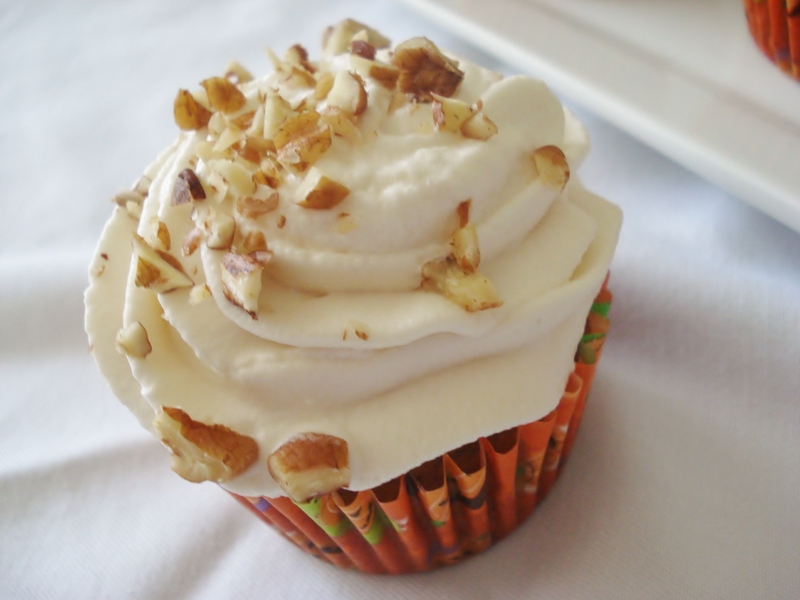 The cream cheese frosting is lightened up with the use of 1/3 less fat cream cheese, minimal butter, and organic powdered sugar that again stands in for the refined alternative. 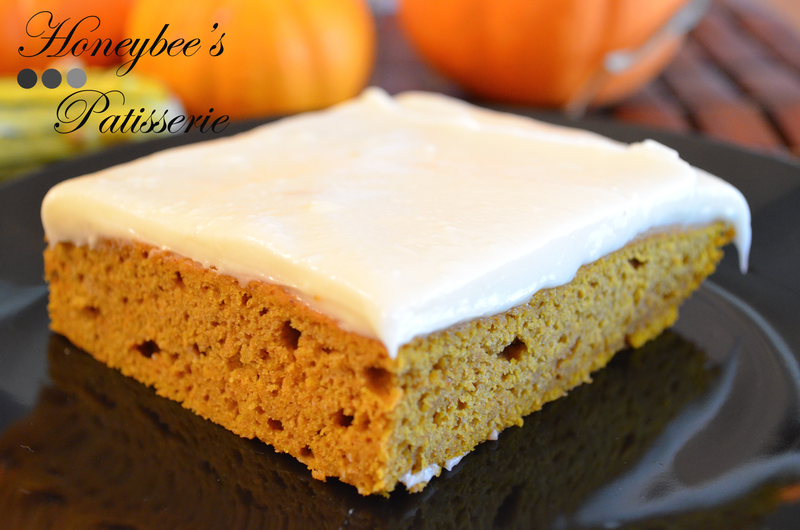 This cake is a much lighter and welcoming change from the traditional pumpkin pie and will yield approximately 24 servings (1 square). If you are following Weight Watchers, one square of cake is equal to 3 Points or 5 Points Plus. Preheat oven to 350°. Spray a 13 x 9 inch baking pan with nonstick cooking spray. Set aside. To prepare the cake, combine the flour, baking powder, cinnamon, pie spice, and salt in a small bowl. Stir with a whisk until just incorporated. In the bowl of a stand mixer (or large bowl) combine the brown sugar, butter, and vanilla. Beat with a mixer on medium speed until incorporated. Add the eggs, 1 at a time, beating well after each addition. Add the pumpkin puree and mix well. Gently fold in the flour mixture to the pumpkin mixture. Spread the batter evenly into the prepared baking pan, making sure to smooth out well as it will not smooth itself while baking. Bake the cake for approximately 25 minutes or until a toothpick inserted in the center comes out clean. Cool the cake on a wire rack. While the cake cools, prepare the frosting by combining the butter, vanilla, and cream cheese in the bowl of a stand mixer (or medium bowl). Beat the mixture on medium speed until light and fluffy. Slowly add the powdered sugar and beat until mixture is smooth and well combined. Spread the frosting evenly over the cooled cake. Cut into squares and serve. 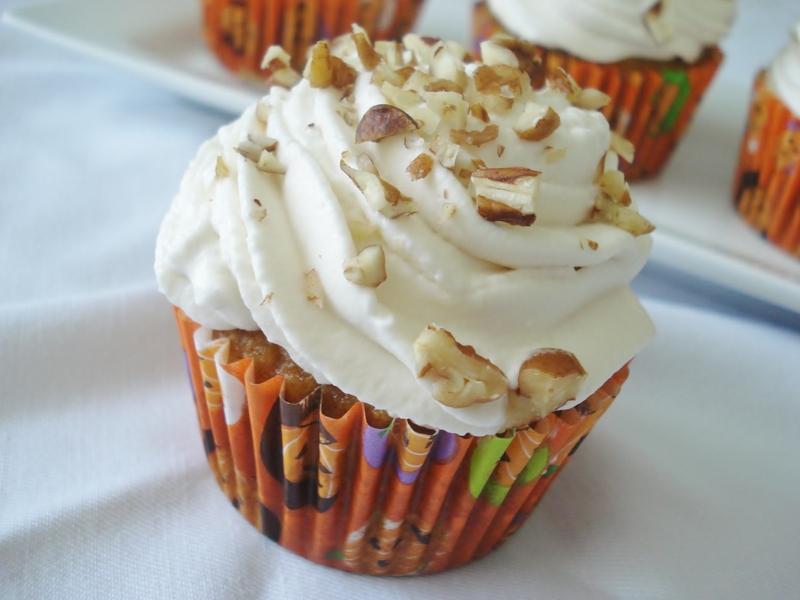 With the onset of fall many families have their own go to favorites that remind them of the season. For some it may be caramel apples, others pecan pie, but for me nothing screams fall like Pumpkin. Pumpkin pie is usually my go to dessert this time of year, especially for Thanksgiving dessert but after many years of the same slice of pie and a dollop of cool whip you start to want to branch out a bit, keeping the similar flavors of pumpkin pie but transformed into a new dessert. 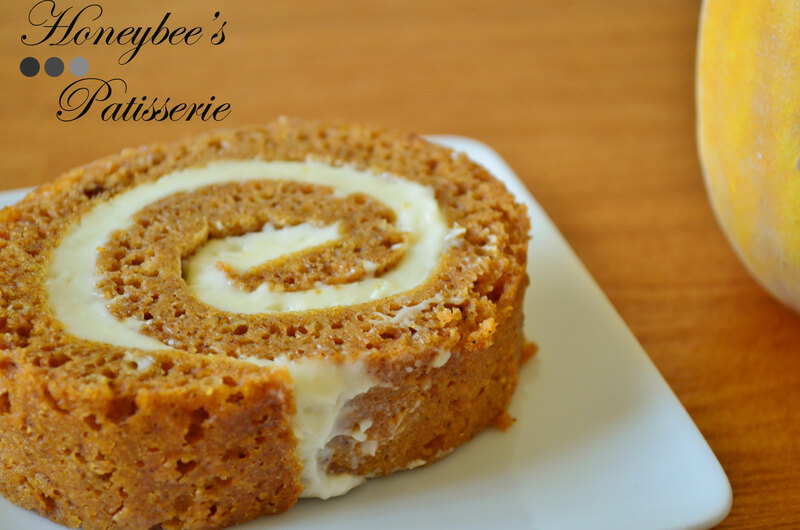 I stumbled on a pumpkin roll recipe and I won’t lie it looked a bit daunting. Even in culinary school I remember making a similar sponge cake and having to quickly roll it while it was fresh out of the oven and still on fire just to ensure an easy roll later. 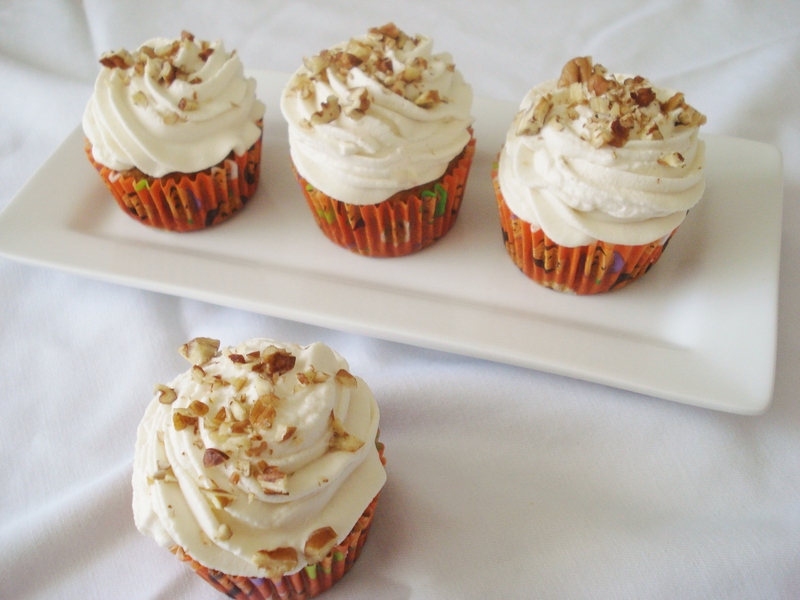 I let these thoughts fend me off for a little while and was tempted to make some cupcakes instead. 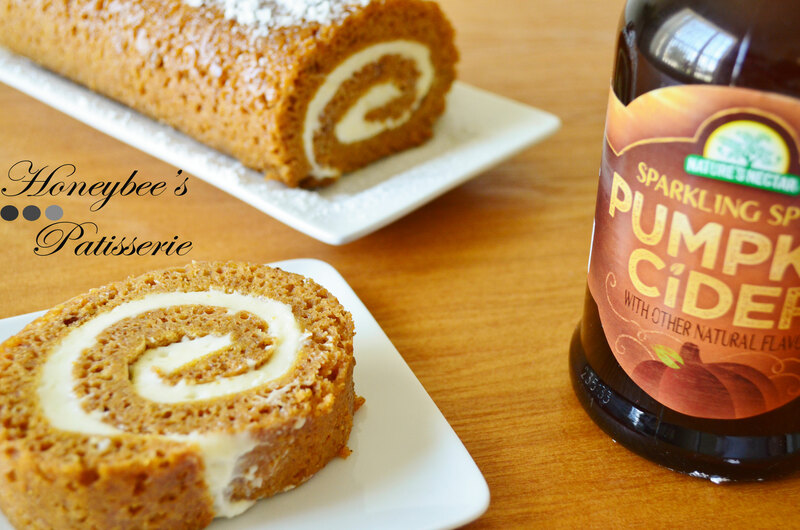 That was until I ran into a quaint little jar of Sparkling Pumpkin Cider while at the market and for some odd reason or another it inspired me to give the pumpkin roll a try. 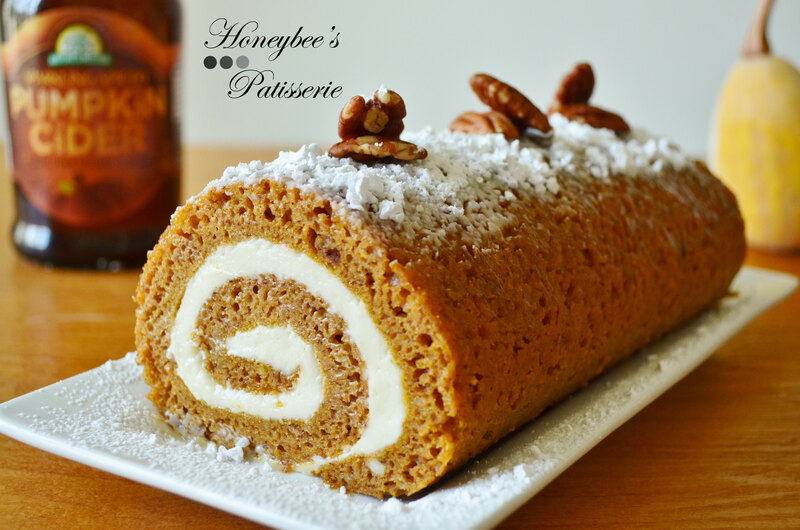 I imagined paring up the elegant roll with a glass of cider in a champagne glass and from that moment on I was sold to the idea of taking this recipe on. I must admit I was quite surprised at its overall simplicity. I had a lot of concern over how the end result would be but as long as you follow the directions you really run into no problems at all. I have honestly had more problems with cookies that appear much simpler than this. Not to mention this type of cake is by far the easiest you will ever make and the most divine on the taste buds. Instead of having to cut and trim layers the cake batter is simply spread into a sheet pan prepared with greased parchment paper that makes removing it from the pan and rolling it a breeze. By rolling the cake while it was still warm, the cake was able to cool and be trained into the shape necessary to prevent it from cracking or breaking after spreading the filling in place. I allowed the cream cheese to soften at room temperature to ensure a smooth frosting and easier spread onto the cake. Make sure the cake is completely cooled before trying to spread the frosting on and then gently re-roll it into a tight cylinder. To get the glamorous look that will make every holiday table shine, all you need is a dusting of confectioners’ sugar and some spiced pecans. If you can’t find spiced pecans, regular pecans you find in the baking aisle can be toasted and then top the cake as shown. The roll can be stored in the refrigerator wrapped in plastic or sealed in an airtight container for up to three days. For the Pumpkin Roll: Adjust oven rack to the middle position. Heat oven to 350°. Line an 18 by 13 inch rimmed sheet pan with greased parchment paper. Combine flour, pumpkin pie spice, baking soda, and salt in a bowl and set aside. With an electric mixer on medium-high, beat eggs and sugar until thick and pale yellow in color, about 6 to 10 minutes. 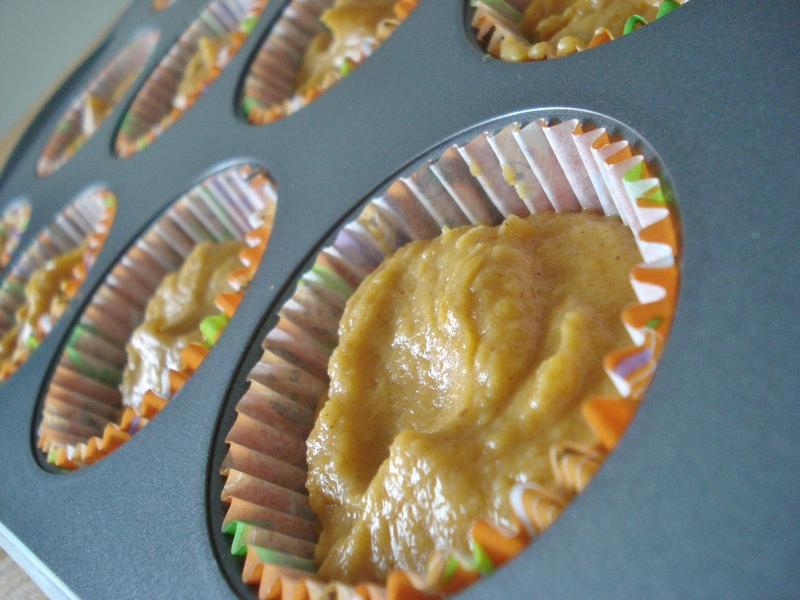 Add the pumpkin puree and mix on low speed until incorporated. Gently fold in the flour mixture until combined. Spread the batter evenly in the prepared pan. Give the pan a gentle tap to expel air bubbles and even out the batter. Bake the cake until it is firm and springs back when touched, about 15 minutes. Immediately after removing the cake from the oven, run a knife around the edges of the sheet pan to loosen the cake. Turn the cake out onto a clean sheet of parchment paper dusted with a generous amount of confectioners’ sugar. Gently peel off the parchment paper attached to the cake while baking and discard. Beginning from the short end, roll the cake with the fresh piece of parchment into a log and allow it to cool seam side down, about 1 hour. For the Fluffy Cheesecake Frosting: With an electric mixer on medium-high speed, beat the butter and sugar together until light and fluffy. Add the cream cheese, one piece at a time, making sure to beat thoroughly after each addition. Add the vanilla and beat until thoroughly blended and no lumps remain. Before assembling the cake, be sure the mixture is at room temperature for easiest spreading. To assemble the roll, gently unroll the cake and spread the cheesecake frosting evenly, leaving a 1 inch border around all the edges to prevent the frosting from leaking out the ends when you roll it. Gently re-roll the cake snugly around the filling, leaving the parchment paper behind as you roll. Wrap the finished roll in plastic wrap and refrigerate until filling is well set and chilled, at least one hour and up to 2 days. 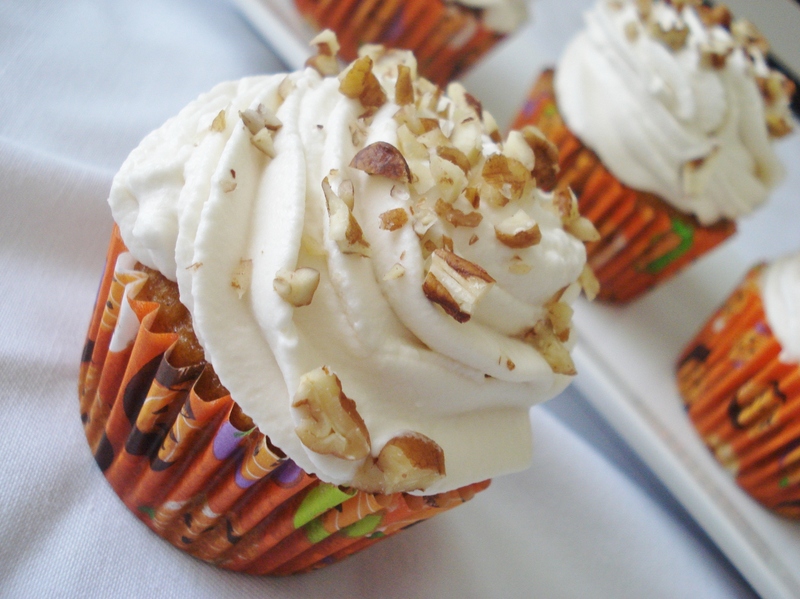 When ready to serve, remove the plastic wrap, dust with confectioners’ sugar and top with pecans.